Beef stew is always an amazing type of comfort food, especially on cold nights. There is something about the heartiness and richness of the dish that just seems to work well. 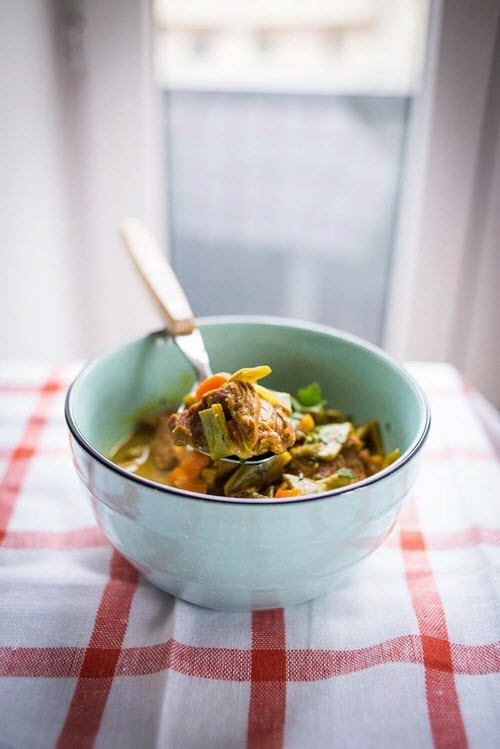 Stews are also a great way to get extra veggies in your diet, without too much effort. 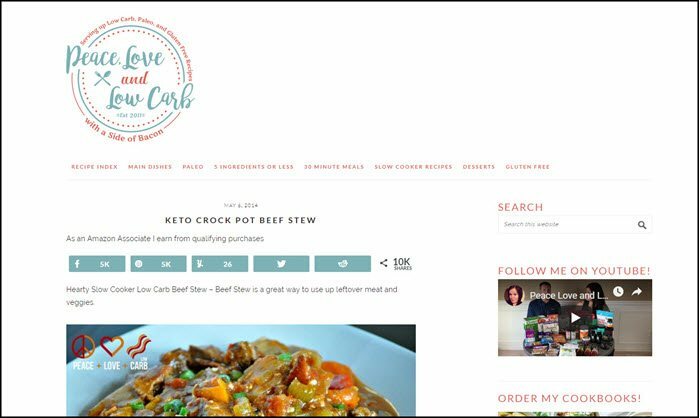 Having beef stew as part of a keto diet just makes sense. The dish isn't heavy in carbs to begin with and most carb-containing ingredients can be easily substituted out. 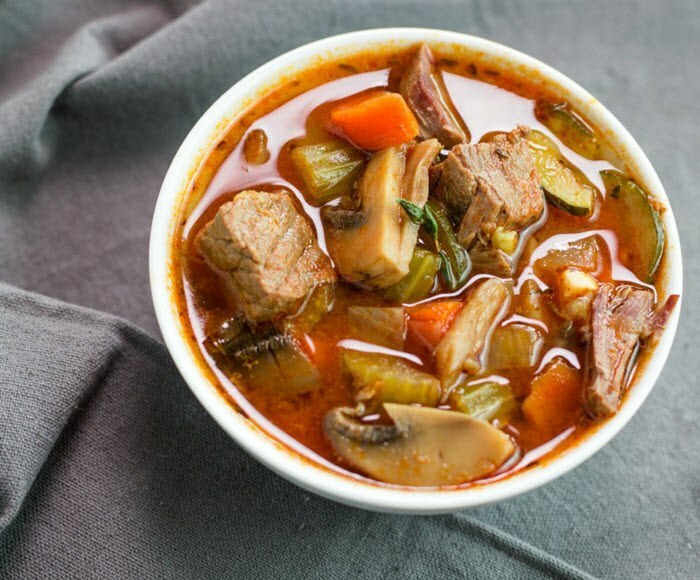 Even so, these keto beef stew recipes are worth checking out. 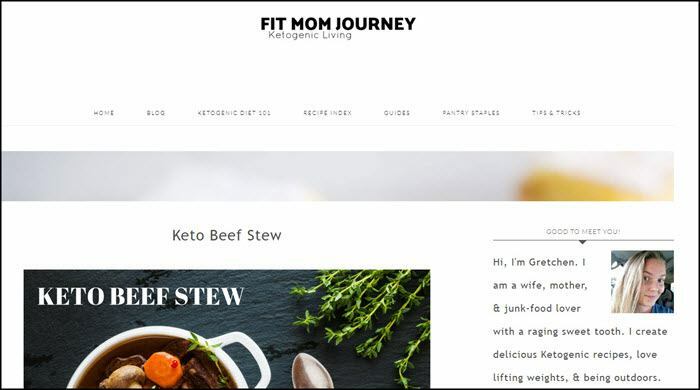 Keto bloggers tend to create amazing combinations of flavors, along with variations on traditional recipes. This can be a fantastic way of discovering new meals that you would never have thought of on your own. PS. 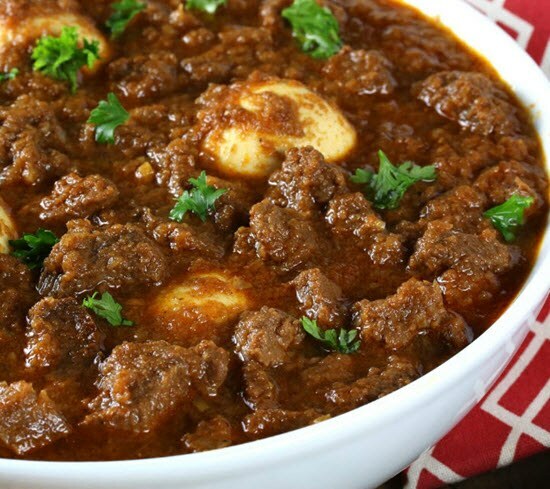 You can also try keto chili recipes, which have a similar heartiness to beef stew. PPS. 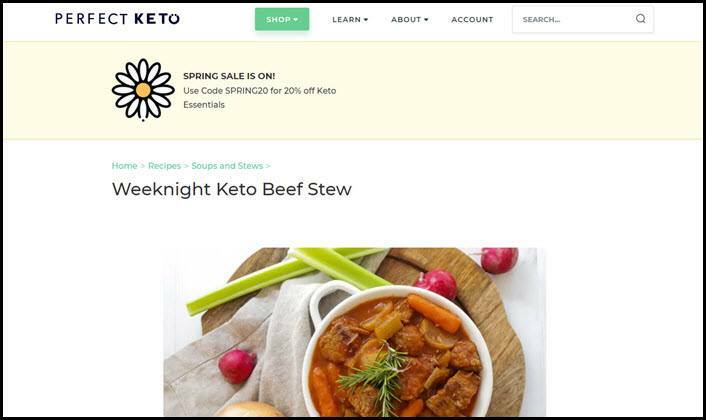 What about keto dairy free beef recipes? These cover a wide variety of styles, giving you plenty of options to choose from. This first recipe comes from Mellissa at ibreatheimhungry.com. It stands out because of the cheesy biscuit crust. That type of crust isn't a common addition to beef stew in general, much less a keto stew. The finished dish would also amazing. 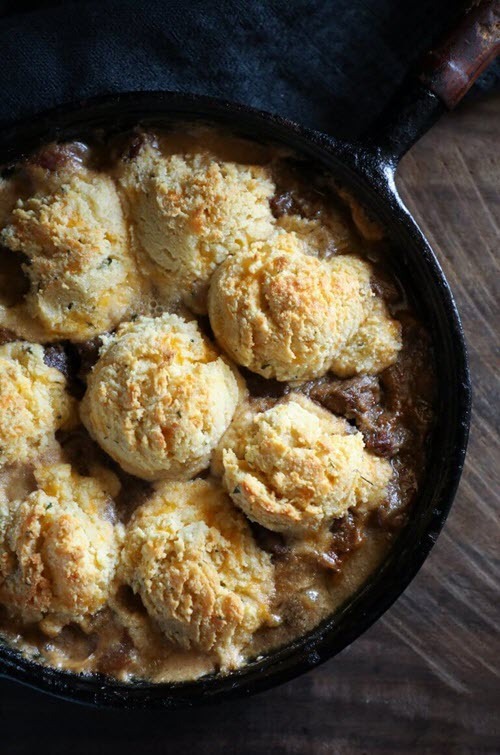 The cheesy biscuits perfectly complement the complex flavors of the beef stew. Trust me, you won't be disappointed. Here's another great recipe to try. 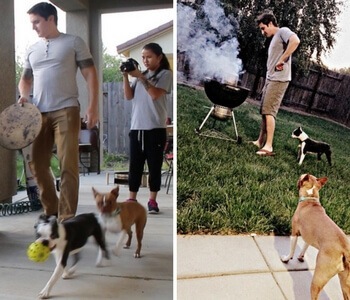 It comes from wickedstuffed.com, which is a source of many keto and paleo recipes. A key feature of this one is that you're making it in the slow cooker. A slow cooker is a natural choice for beef stew, helping you to get a tender and rich stew every time. Amanda also focuses on flavor with this recipe. While the ingredients list isn't extensive, the chosen items create a fantastic flavor profile, one that you'll come back to time and time again. 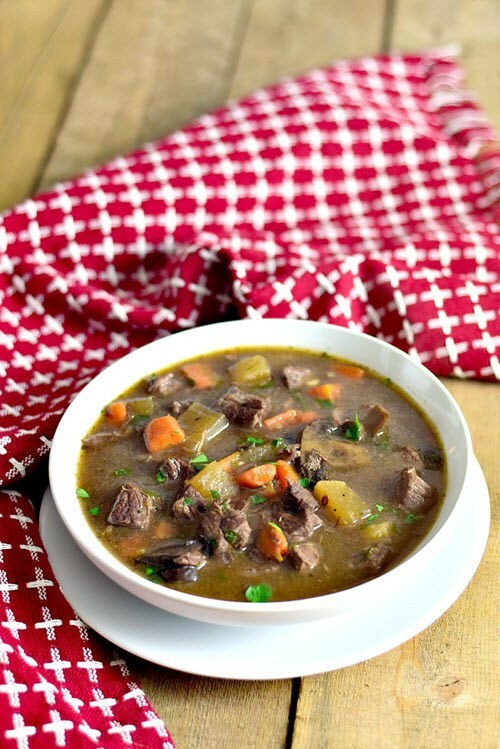 This comforting beef stew recipe comes from beautyandthefoodie.com. It can be made in an Instant Pot or simply on the stove, depending on your preference. The meal is packed full of meat and veggies. Like most stews, the finished dish reheats well. You may even find that the reheated version tastes even better than the original. Here's a recipe that was featured on ketosummit.com, based on a meal that Louise had in a cafe. 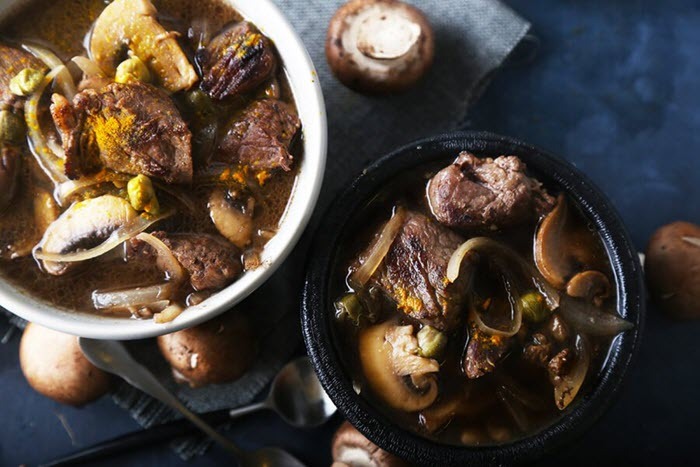 The name of the stew comes from a part of France, which is where the style of stew originally comes from. That being said, the stew does have a secret ingredient or two that makes it taste amazing. I'm not going to spoil the surprise. You'll need to head over to the site to find out the answer. 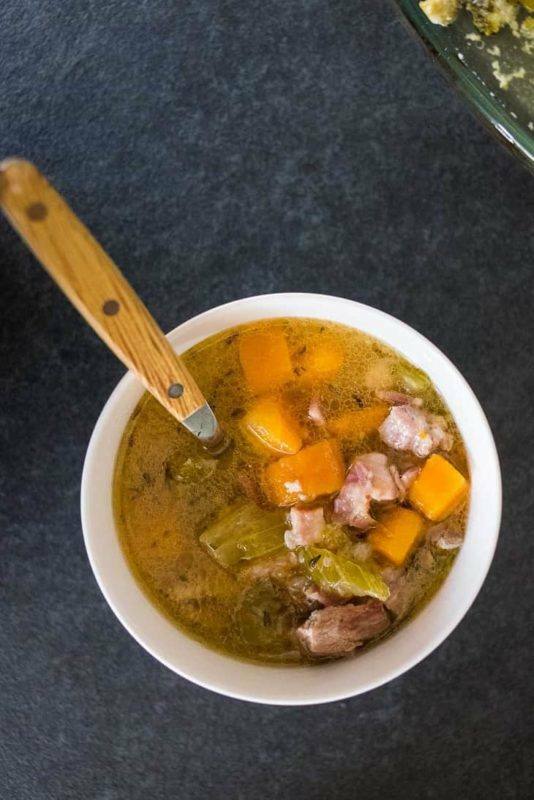 This recipe, from rootandrevel.com, can be made in the Instant Pot or a slow cooker. You can choose based on what you have at home. Either option means that your meal comes together with little work from you. The stew is also packed with flavor and nutrients. Despite all this, it manages to be very low in carbs, so you're onto a winner. Here's another beef stew version to try. This time, the recipe comes from perfectketo.com and is made in the Instant Pot. As with most stew recipes, a slow cooker will work fine too. You just need to do a few more steps by hand and the cooking will take longer. Still, the finished dish is worth the wait. Speaking of slow cookers, here's another slow cooker beef stew to consider. This one is featured at peaceloveandlowcarb.com. The finished dish simply looks amazing, especially as it retains the bright colors from some of the ingredients. Even better – the stew is packed with flavor. 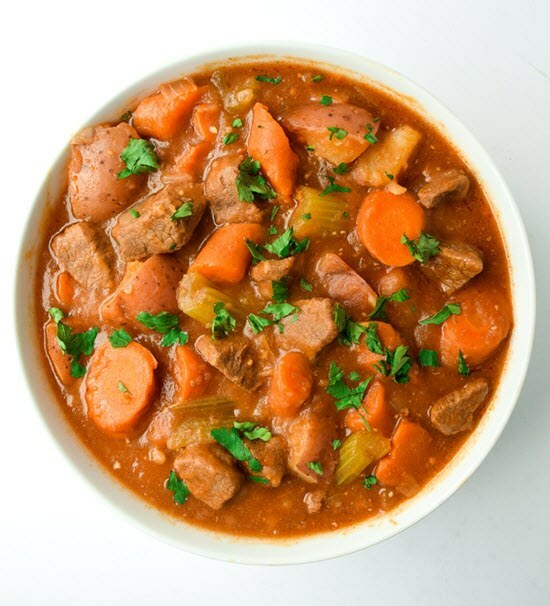 This beef stew is a great recipe, simply because it is different than normal. It is a spicy dish that has its origins in Africa. The post at daringgourmet.com provides plenty of details about the dish and what you can expect from it. Comments on the recipe suggest that the dish tastes amazing and has no shortage of interesting flavors. Here’s another style to consider. The recipe comes from tasty-yummies.com and the meal can be considered a ground beef stew. Using ground beef is a great approach, especially for anyone on a budget. Beth made some other variations when she designed the recipe too, such as increasing the broth and decreasing the amount of meat. This style creates a nice intermediate between a soup and a stew. The end result remains comforting. It looks good in the bowl too. 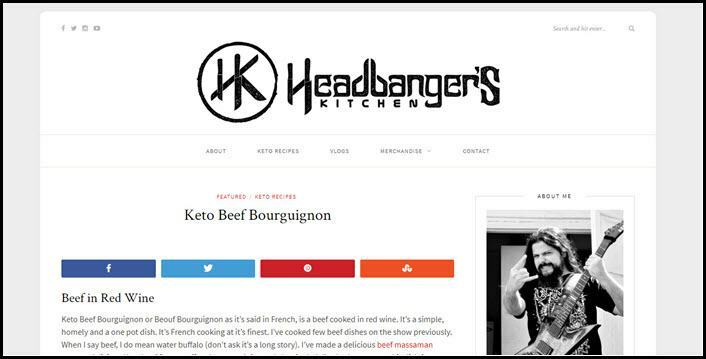 Sahil from headbangerskitchen.com provides this recipe for a beef and red wine stew. The post is packed with detail about the recipe, including information about the various ingredients and whether you can skip them. There is also a video on the recipe. Watching the video is a great way to get a sense of the recipe, along with the various steps. Many stew recipes rely on an Instant Pot and this one is no exception. The Instant Pot is a great tool for making meals quickly and easily. 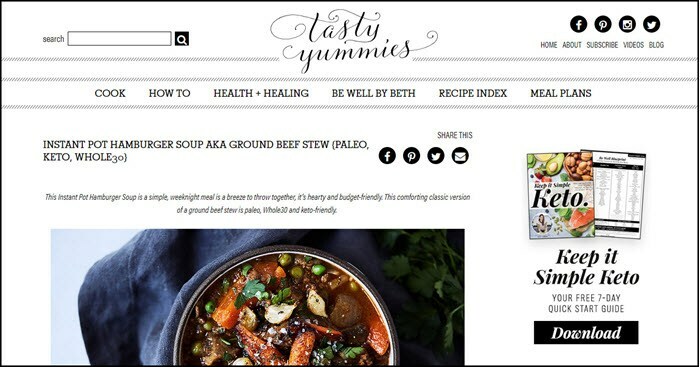 This recipe, from tastythin.com, is the perfect place to get started as Nikki provides details about how to make this type of recipe in an Instant Pot, along with various tips. The extra information helps ensure that you make a fantastic stew every time. 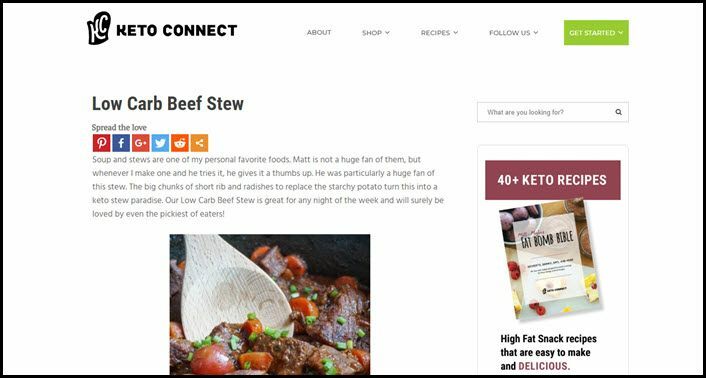 This particular stew recipe comes from ketomealsandrecipes.com. It is packed full of ingredients that all add to its flavor. The number of ingredients might seem overwhelming at first, but they’re mostly common items that you’ll already have at home. You can also find a great breakdown of the macros and their ratios on the site. Isn’t this beef stew amazing? I love how it looks different than most of the other recipes. That’s partly because it has a stronger focus on vegetables. The recipe is designed for the Instant Pot and it contains clear instructions about the different settings and times that you need to use. This time, you can find all the details that you need at cleaneatingkitchen.com. 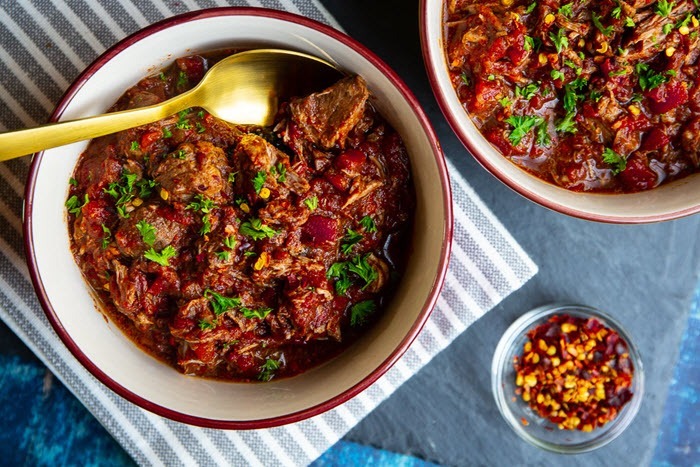 Here’s a rich and meaty stew that has all of the flavors that you will expect. There are plenty of ingredients in the mix, which just add to the finished taste and texture. The recipe itself comes from bobbiskozykitchen.com and it is another Instant Pot choice. Don’t worry, all of the directions are provided, so you can make the stew for yourself with ease. 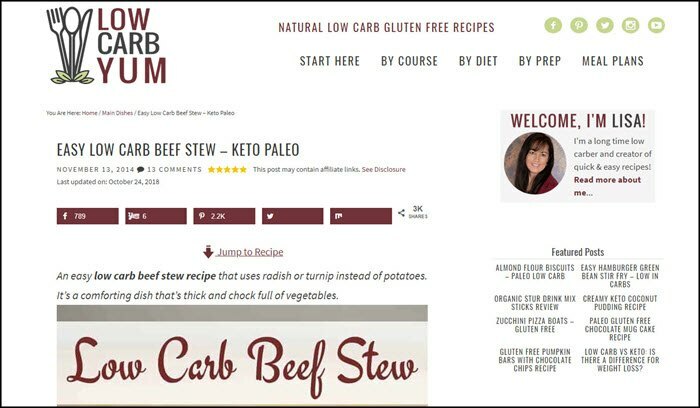 Here’s another stew option, which comes from lowcarbyum.com. A useful feature is that it is designed to be simmered in a pot, rather than using a slow cooker or an Instant Pot. This does mean more time in the kitchen – the cooking time is roughly two hours. Still, it’s nice if you don’t have a slow cooker or Instant Pot in your kitchen. The style also works well if you’re a little disorganized. Setting up a slow cooker meal requires some pre-planning, while this recipe only takes a few hours from start to finish. 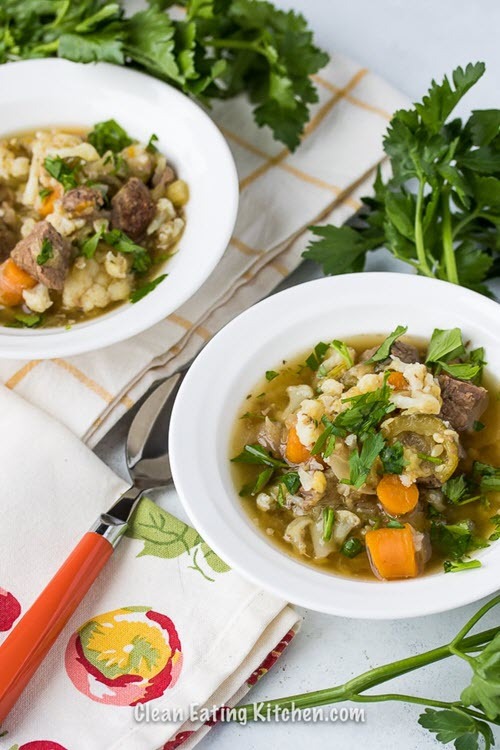 While coffee isn’t a common beef stew addition, this recipe shows that it can work well. As Craig mentions, the coffee adds an amazing depth to the flavor. The end result is a beef stew that tastes different and more complex than most other recipes on this list. The dish itself comes from ruled.me, which is always a good source of amazing recipes. I'm not kidding. The authors at ruled.me go above and beyond when it comes to recipe creation, providing plenty of fascinating options to choose from. 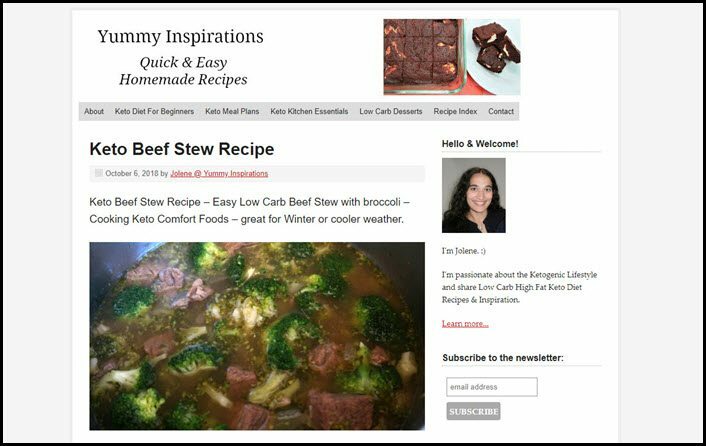 This beef stew recipe comes from Gretchen at fitmomjourney.com. The dish uses radishes as a low carb replacement for potatoes, a style that works exceptionally well. The stew isn't just a tasty meal either. Gretchen focuses on including a wide variety of nutrients in the mix so that the stew will help to promote your health as well. Here's a recipe from ketosummit.com that doesn't require any special equipment. 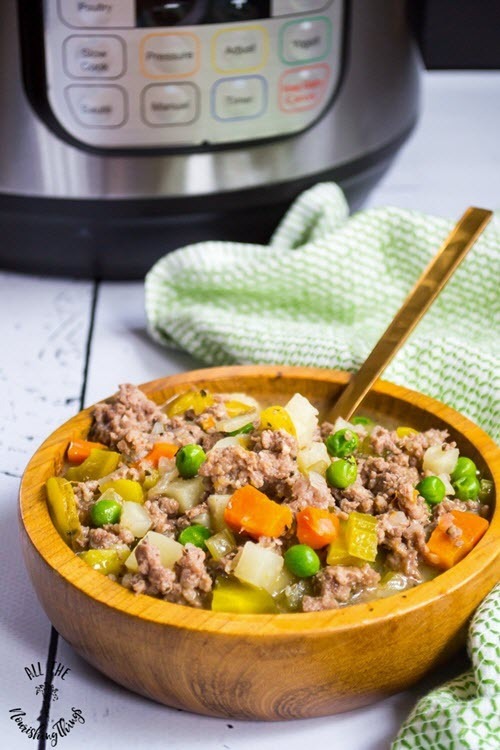 You don't even need a slow cooker or an Instant Pot – the stew can be simply made with a pot in your kitchen. It's also a very low carb choice, with just three grams of net carbs per serving. If all of that wasn't enough, Louise has also chosen the ingredients carefully to create a rich and satisfying dish. The 22 grams of protein per serving helps in this area, as does ingredients like bacon and plenty of herbs. Anyone with an Instant Pot is certain to love this recipe. It comes from allthenourishingthings.com and really is a nourishing dish. As Lindsey mentions, this meal is also good for meal prep. You can make a big batch on the weekend and then use the leftovers on busy weekdays. 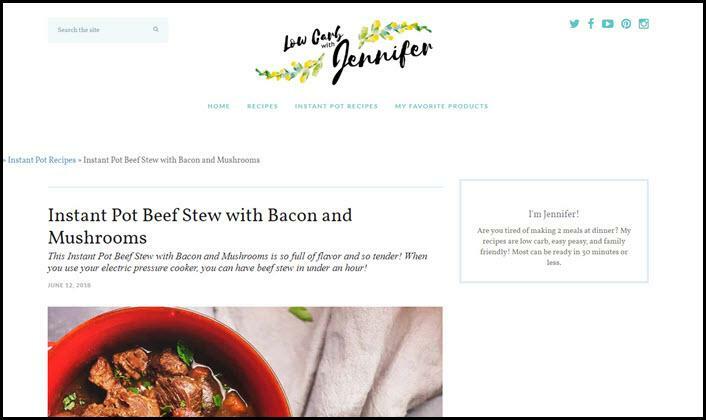 I love beef stew recipes that include bacon, like this one from jenniferbanz.com. Bacon seems to make any meal taste more amazing, especially when the dish already tastes pretty good. That's exactly what is happening here, as the beef stew is packed with flavor and beneficial ingredients. It's easy to make too, which is another bonus. Broccoli isn't a typical beef stew inclusion, but why not? This recipe from yummyinspirations.net shows that you can easily add broccoli. The vegetable adds a splash of green to the finished meal, which looks very cool. While we're talking about the stew, it's worth highlighting the recipe. Unlike other authors on this list, Jolene doesn't provide nutritional details or even information about how much of each ingredient you should include. You'll need to calculate the nutrition data yourself and use your intuition when following the recipe. 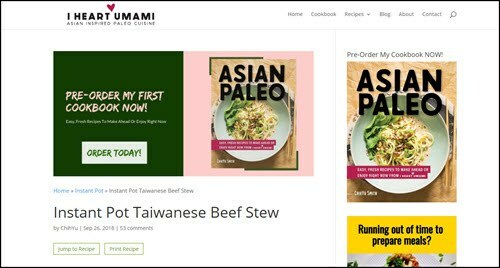 This beef stew recipe comes from iheartumami.com and it follows a Taiwanese style. ChihYu mentions that the recipe was originally based on a noodle soup recipe and has been modified. 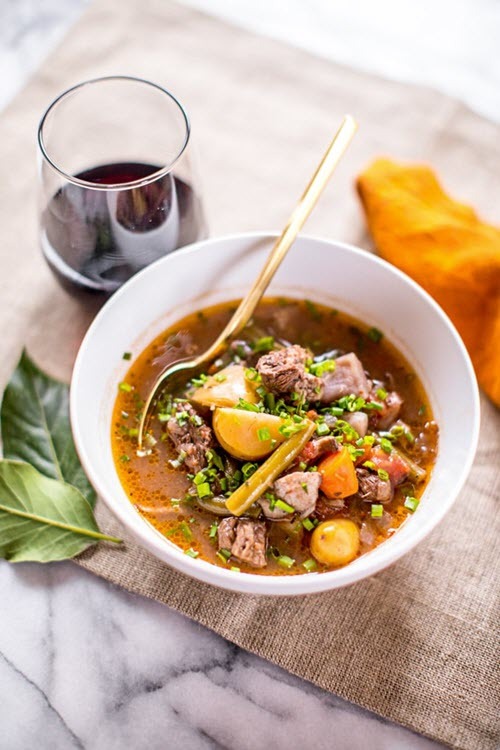 The choice of meat is a little different than normal too, as this stew relies on beef shanks. Still, the unusual aspects of the stew are all good things. These help to create a hearty dish that looks and tastes amazing. Besides, beef stew is such a common meal that it's nice to have some less common styles to choose from. I love how rich and delicious this beef stew recipe looks. You don't need to worry about watery broth with this dish, every bite will be packed full of flavor. This outcome is very obvious from the ingredients list, which contains plenty of veggies and flavor adding ingredients. 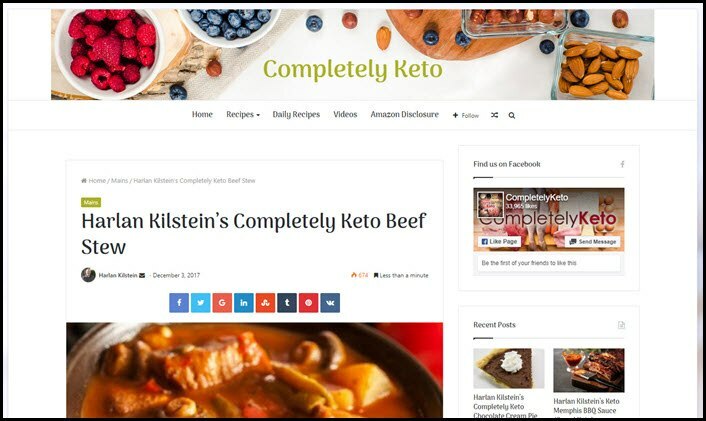 You can find all the details you need at completelyketo.com. Here's one more beef stew recipe to keep you going. This one comes from ketoconnect.com and uses short rib as the meat of choice. A great feature is that this is a low carb recipe that doesn't taste like it is low in carbs. That's true even though the recipe cuts out the traditional potatoes. The end result is a stew that is rich and satisfying for everyone who eats it.